Not all companies want their data to reside in a single cloud. Increasingly, major enterprises are opting for a multicloud strategy. 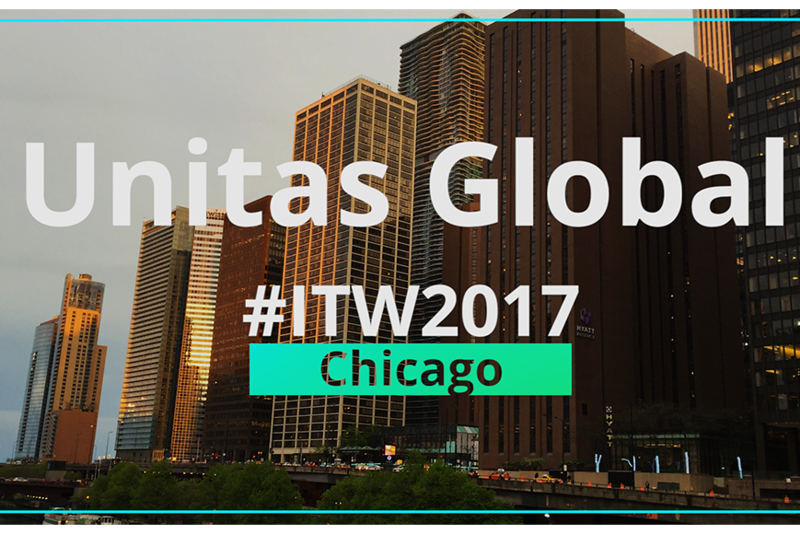 Unitas Global is a provider of hybrid infrastructure and cloud services to global enterprises. Patrick Shutt, CEO of Unitas Global, provides a market update. 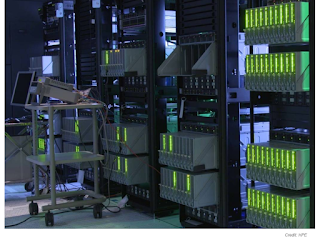 The race to build first class data centers is on. 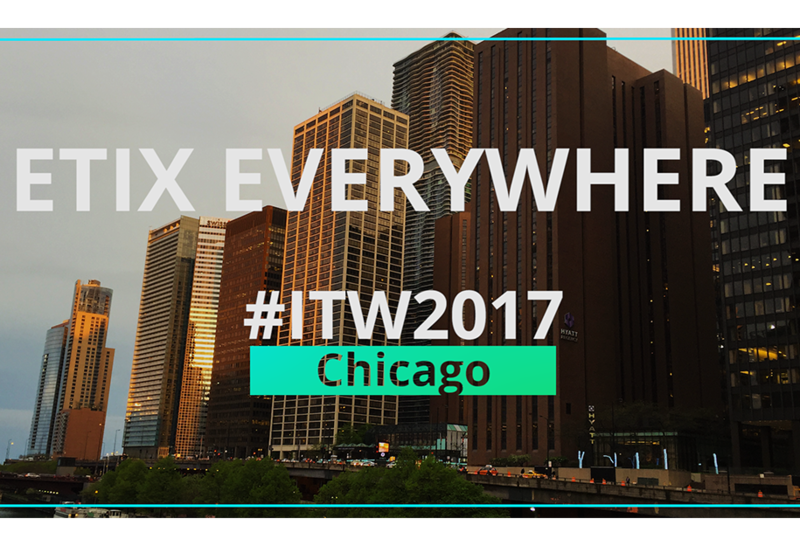 0 Etix Everywhere builds, finances and operates data centers and cable landing stations worldwide. The company is already in 19 countries and has many projects ongoing. Antoine Boniface, Managing Director of Etix Everywhere, provides an update. Mobile and wireless networks will need tremendous fronthaul and backhaul capacity especially in dense urban core. This requires lots and lots of fiber. ZenFi is rolling out a massive dark fiber network covering all five boroughs of New York City. 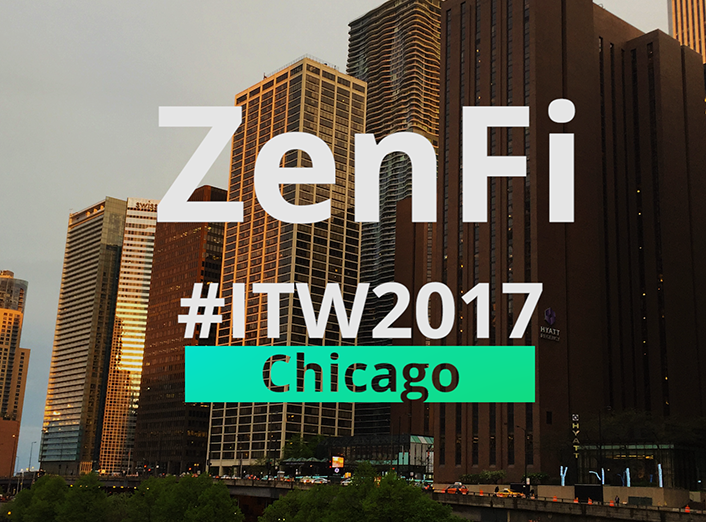 Here's a market update presented by Walter Cannon, VP Sales & Marketing for ZenFi Networks. Vodafone Group announced that its wholly-owned subsidiary, Vodafone International Holdings B.V., has agreed to transfer part of its indirect shareholding in Safaricom, serving around 28 million subscribers in East and Central Africa, to Vodacom Group, its sub-Saharan Africa subsidiary. Under the terms of the transaction, Vodafone will exchange a 35% indirect interest in Safaricom for 226.8 million new ordinary Vodacom shares. The transaction, which is valued at approximately Euro 2,361 million based on Vodacom's closing share price on May 12th, 2017, will increase Vodafone's ownership in Vodacom from 65% to 70%. Vodafone will continue to hold a 5% indirect stake in Safaricom following the transfer, in addition to the indirect interest held via Vodacom. As part of the transaction, Vodafone Group has provided assurances to the government of Kenya relating to the ongoing operation of the long standing partnership between Safaricom, the Vodafone Group and the Kenyan Government. The transaction is expected to allow Vodafone Group to streamlines and simplify the management of its sub-Saharan African holdings and to strengthen alignment and cooperation between Safaricom and Vodacom throughput the region and internationally. More specifically, Vodacom will strengthen its position in the Kenyan market. 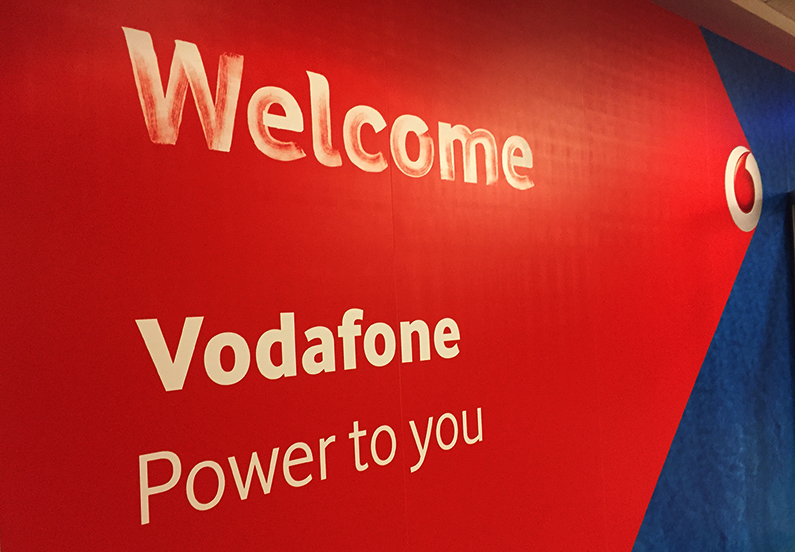 Vodafone currently holds a 40% indirect interest in Safaricom through wholly-owned subsidiary Vodafone Kenya (VKL). Vodacom has agreed to acquire an 87.5% shareholding in VKL, representing a 35% indirect interest in Safaricom; Vodafone will retain the remaining 12.5% shareholding in VKL, representing a 5% indirect interest in Safaricom. As part of the transaction, Vodacom is to issue 226.8 million new ordinary shares to Vodafone, which values the effective 35% indirect interest in Safaricom at approximately Euro 2,361 million. The implied exchange ratio of 1.62 new Vodacom shares for every 100 Safaricom shares compares to an implied exchange ratio of 1.56 based on the 90 day VWAP, 1.63 based on the 180 day VWAP and 1.72 based on the closing prices on May 12th. After closing of the transaction, Vodafone will continue to report direct and indirect holdings in Safaricom under the equity method. Vodafone noted that closing of the transaction is subject to conditions including approvals from Vodacom minority shareholders, from the Financial Surveillance Department of the South African Reserve Bank and confirmation from the Kenya Capital Markets Authority that the transaction does not obligate Vodacom to make a mandatory bid for Safaricom. The transaction is currently expected to close in the third quarter of 2017. 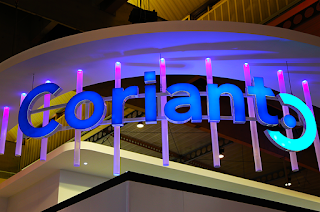 Coriant has appointed Homayoun Razavi to lead its global sales and marketing organization. As Chief Customer Officer (CCO), Executive Vice President of Global Sales, and Chief Digital Marketing Officer (CDMO), Razavi is responsible for development and execution of the company’s global sales, go-to-market, channel, and marketing strategy. He reports directly to the company CEO and Chairman, Shaygan Kheradpir. Razavi has held executive level positions at industry-leading companies, including BroadSoft, Lucent, Ditech, Cascade Communications, and Ascend Communications. Prior to joining Coriant, Mr. Razavi worked as a consultant for NJK Holding Corporation, a Minneapolis- based private equity firm, and also served as Vice Chairman of San Francisco-based startups Crunch Media Works and Bluechip Systems. 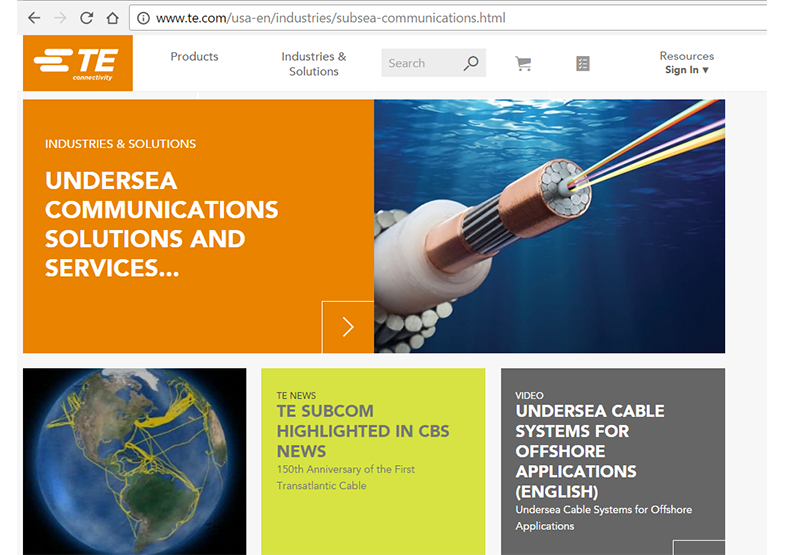 TE SubCom, a TE Connectivity company and a developer and supplier of undersea communications technology, has announced the availability of eLMS (enhanced line monitoring system), its new customisable solution designed to enable continuous tracking of fault conditions and cable performance. Enhancements to TE SubCom's line monitoring functionality allow cable operators to detect changes in cable performance without the need to interpret raw data, delivering straightforward results and ensuring efficient transmission. Offering an all-optical line monitoring system that requires no active undersea components, the new eLMS technology will be included in all of SubCom's Open Cable systems and is scheduled to be launched along with a fully-contracted cable system in the fourth quarter of 2017. 1. Enhanced resolution, enabling detection of smaller span loss and pump power changes. 2. Graphical user interface providing visual representation of wet plant parameters over time and versus repeater location. 3. Alarm generation based on changes in loss, pump and amplifier parameters, with configurable thresholds. TE SubCom noted that the new line monitoring equipment (LME) signal interpretation capability within eLMS is intended to eliminate the need for cable operators to manually sift through high loss loopback data utilising enhanced Automatic Signature Analysis (eASA) to detect changes in round-trip span loss and repeater output power, including from multiple terminal locations. TE SubCom launched its Open Cables model in 2015, and in November 2016 announced with Ciena an alliance designed to enable open submarine cable networking solutions spanning both wet plant and dry plant. 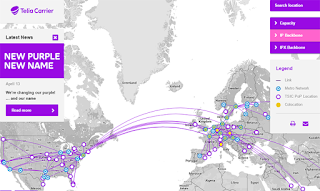 Global wholesale services provider Telia Carrier announced a new, high capacity route that extends from Zurich, Switzerland to Strasbourg in France via Basel, Switzerland, providing a shorter path and lower latency between Frankfurt in Germany and Zurich. 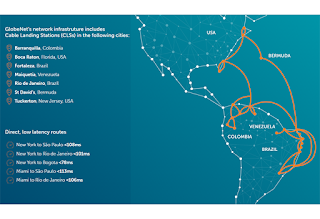 With the launch of a new PoP and metro fibre in Zurich, Switzerland the new route provides customers with routing options that can significantly improve performance for transmission to and from Milan, Italy and Marseilles in France. The combination of a shorter route with increased security and diversity is designed to offer Telia Carrier customers to address the demands of end-users. In Zurich, Telia Carrier stated that it is experiencing growing demand for high capacity fibre infrastructure and 100 Gbit/s and higher rate services from over-the-top (OTT) content providers and large-scale web hosting companies to meet end customer demand. The new PoP and additional fibre enables Telia Carrier to offer a range of services and routing options to local and international companies requiring connectivity throughout Europe. In April, Telia Carrier announced it had added a new PoP that enables connectivity services for a growing economic sector in Berlin, Germany via the Carrier-Colo data centre, owned by I/P/B/. 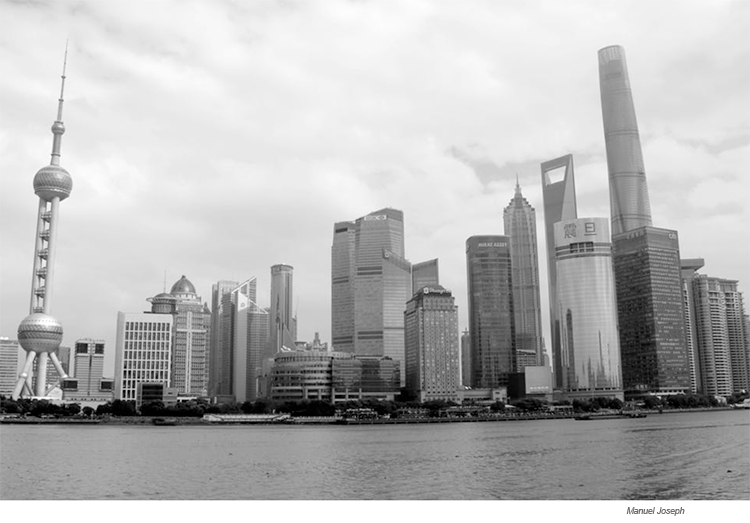 Located between Frankfurt and Warsaw in Poland, the PoP followed Telia Carrier's previously launched low latency DWDM route, the Frankfurt - Warsaw Express to meet demand for connectivity in the German capital. In January, Telia Carrier announced a new route extending 900 km from Stockholm, Sweden to St. Petersburg via Tallinn, Estonia. At the same time the carrier stated it had upgraded multiple submarine cables across the Baltic Sea using coherent Flex-Grid technology to add capacity, lower latency and enable the delivery of 100 Gbit/s and higher rate services to carriers, content and cloud providers in the Baltics, Russia and beyond. 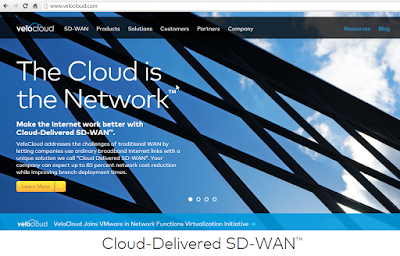 Sprint launched its Software Defined Wide Area Network (SD-WAN) services. The service is powered with VeloCloud's SD-WAN solution. For connectivity, enterprises can use new or existing Sprint MPLS or broadband internet connectivity, as well as bring their own broadband (BYOBB) from other providers. 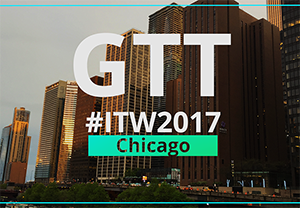 Sprint manages the customer’s SD-WAN solution across transport vendors, providing an integrated and seamless end-to-end experience. XKL, a provider of optical networking systems, announced the launch of its DarkStar Mux/Demux-Amplifier (DMD-A) optical utility appliance, which offers optional features designed to enable for optimal network flexibility and manageability. XKL's DMD-A appliance supports a variety of filter options including 48-channel or 96-channel mux/demux and 4-band or 6-band combiner filter, and enables point-to-point or east/west configurations. It also provides support for up to four EDFAs and one Raman amplifier, dependent upon other installed options. The appliance also features dispersion compensation and an integrated optical switch for path protection. The DMD-A can serve as an integral part of an overall XKL network solution or can interoperate with any optical networking equipment that utilises the standard ITU grid, 50 GHz or 100 GHz channel spacing. The solution offers a simple interface for deployment and management that is designed to enable 'set and forget' administration of the appliance. As with other XKL products, the DMD-A is compact, provided in a 1 or 2 rack unit form factor, and power efficient, and to help reduce opex is designed to be integrated and operated by IT professionals, without the need for optical engineers. Additional key features of the DMD-A include: integrated path protection; 48 or 96 channel mux/demux; integrated EDFA and Raman amplification; dispersion compensation; low power consumption; available in 1 RU or 2 RU form factor. Previously, in March XKL introduced the FlexArc solution, designed to enable flexible provisioning and scaling via increased control at Layer 1. Earlier this year, it announced new inline amplifier products for the DarkStar family and launched the DQT10 transponder with ROADM, extending the DQM10 family of DWDM appliances, enabling support for up to 96 channels and alien wave injection. 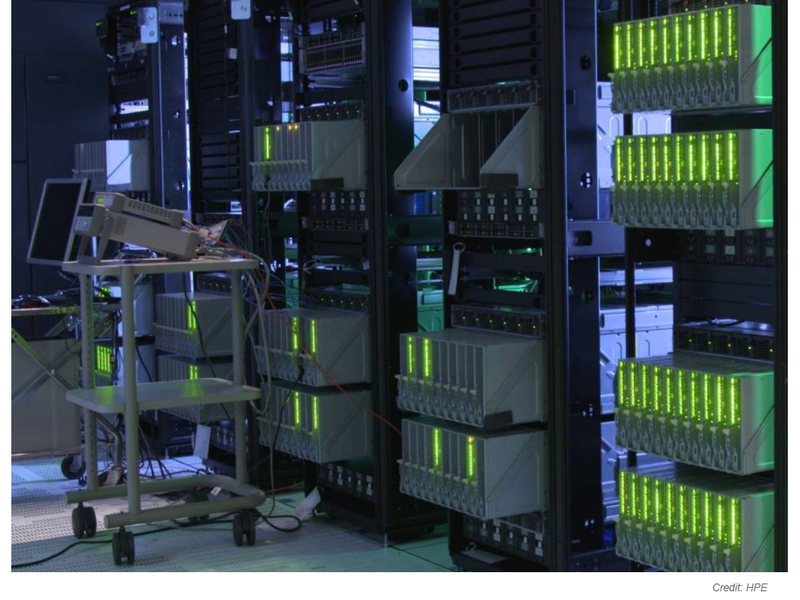 Hewlett Packard Enterprise officially introduced The Machine - the world’s largest single-memory computer. The first prototype, which is the outcome of the largest R&D program in the history of the company, contains 160 terabytes (TB) of memory. The company said The Machine architecture could scale to an exabyte-scale single-memory system and, beyond that, to a nearly-limitless pool of memory—4,096 yottabytes. For context, that is 250,000 times the entire digital universe today. The researchers calculate that a system of that size could "simultaneously work with every digital health record of every person on earth; every piece of data from Facebook; every trip of Google’s autonomous vehicles and every data set from space exploration all at the same time." There has been a slight acceleration over the last few months in China Mobile's new mobile additions and the March numbers were the highest since 2.831 million in September 2016 and the second highest of the last 15 months. However, the numbers for the first three months of 2017 are surprisingly similar to those of the first three months of 2016, so year on year the collective total for the first quarter was virtually flat. 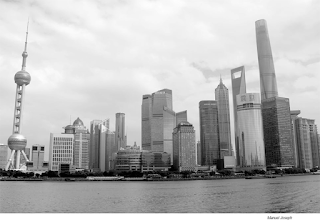 The standout number for the quarter was China Telecom's net addition of 3.01 million, which was not only higher than the China Mobile number for March but also almost 1 million higher than its own previously highest over the last 15 months of 2.02 million. On the 4G side, while China Mobile continues to lead in new additions the level is now only about 50% of its average monthly additions in 2016. By comparison, China Telecom net additions in March were its second highest for the last 15 months and the China Unicom figure was by far its highest for the same period. Clearly, since both companies' share of net 4G additions during the month are higher than their share of cumulative 4G subscriptions to date both must be gaining share against China Mobile, but the gains are at a very slow rate. On April 21st Reuters reported that sources had told it that the three principal investors in Singapore operator MI, namely Malaysia's Axiata Group, Singapore Press Holdings (SPH) and Keppel Telecommunications & Transportation, which collectively own around 61% of the $1.36 billion valued telco, had been contacting a number of telecoms firms, including China Mobile, and private equity companies, cash-rich business groups in China and Japanese tech firms, to gauge their interest in bidding for their majority ownership of the business. M1's share price has nearly halved over the past two years due to its weak business performance amid increased competition, which is about to get even more intense once TPG Telecom of Australia, which has been awarded Singapore's fourth mobile licence, launches its services in 2018. Despite being by far the world's largest telco in terms of subscriptions served, China Mobile has historically been very tentative in terms of overseas expansion and so far has focused on investments in operators that serve neighbouring countries to China, i.e., in 2007 it bought a minor operator in Pakistan and in 2014 bought an 18% stake in Thailand's True. On March 30th Taiwan News reported that Foxconn of New Taipei City, Taiwan and the world's largest electronics equipment manufacturing subcontractor with over 1.3 million workers and revenue of $136 billion in 2015, would invest NT$4.4 billion ($147 million) for a 1.19% stake in six year-old Chinese electric vehicle battery manufacturer Contemporary Amperex Technology (CATL). CATL is based in Ningde, a 3rd tier city of 252,000 people in the north of the south western coastal province of Fujian, which faces across the Straits of Taiwan to Taiwan. CATL was founded by Robin Zeng, who has a doctorate in Chemistry and also previously founded Amperex Technology (ATL), also headquartered in Ningde but now majority owned by TDK of Japan, focused on consumer lithium-ion battery development and production for Apple, TDK, Amazon, HTC, Lenovo, Huawei and Coolpad. Under China's 13th 5 Year Plan (with 2020 targets including halving battery costs to below RMB 1 (14.4 cents) per kilowatt hour, and improving energy density by two-thirds), CATL is one of three government-nominated Chinese battery makers (along with Guoxuan and Lishen) that will receive around $15 million in support funding if it meets those targets. According to a Reuters report, CATL overtook global rival LG Chem of South Korea in battery output in 2016 and is close on the heels of two other international leaders - Japan's Panasonic and Warren Buffet-backed BYD of Beijing. CATL is aiming to grow its battery capacity six-fold by 2020 to 50 gigawatt hours, which if achieved would by then possibly put it ahead of Tesla Motor's Nevada Gigafactory. CATL electric car battery clients include German luxury car brand BMW, Chinese brands Yutong (Xiamen King Long United Automotive) and BAIC Motor. 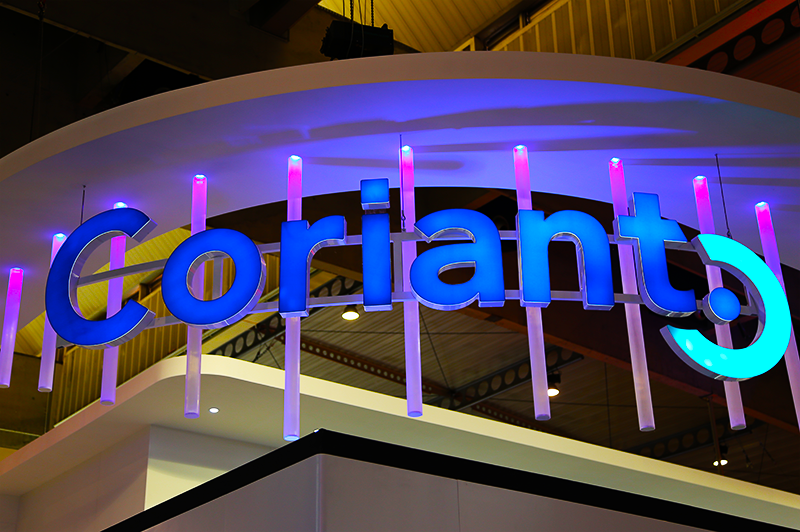 In addition to its recent investment in CATL, Foxconn has increased its investments in self-driving electric vehicles in recent years, signing, in March 2015, a strategic partnership agreement with dealership chain China Harmony Auto and Chinese Internet specialist Tencent Holdings to launch the joint venture Zhejiang I-car Internet and Intelligent Electric Vehicle in Zhengzhou City, Henan province to develop connected smart electric vehicles. In November 2016 it was reported that the above start-up had signed an agreement with local government officials to build a $2 billion assembly plant in the Chinese city of Shangrao in the south eastern province of Jiangxi, with the capacity to build up to 300,000 electric vehicles annually, as well as a production line to assemble battery packs for EVs. Tencent, Harmony Auto and Foxconn have also formed a partnership to establish another EV start-up, China Future Mobility, to develop connected and automated electric cars. According to China Harmony Auto's financial report released in mid-2016, Future Mobility expected to unveil its first model next year and put it on sale in 2019. In late January 2017, it was reported that Future Mobility planned to invest RMB11.6 billion ($1.7 billion) to build a new factory in 2019 in Nanjing (the capital of Jiangsu province) with the capacity to produce 300,000 cars a year, with its first car likely to have a price tag of about RMB300,000 ($43,700). A recent report by Taiwan's United Daily News also noted that two Foxconn subsidiaries (Eson Precision Industry, a module manufacturer, and BizLink Holding, a supplier of automotive equipment cabling and both important suppliers to the electric vehicle market) were key suppliers of Tesla electronic vehicle components, and speculated that Foxconn could play an important role in any future electric car developments by Apple. Nokia has unveiled new machine learning capabilities and expertise designed to help service providers enhance the digital customer experience, specifically via the introduction of new solutions including Autonomous Customer Care and Cognitive Analytics for Crowd Insight software, and the Analytics Office Services suite. The new Autonomous Customer Care software, which targets the customer interaction segment within customer care, is due to be available in the third quarter. The software is designed to provide customers with deep machine learning capabilities that can help resolve service-affecting issues before they happen. 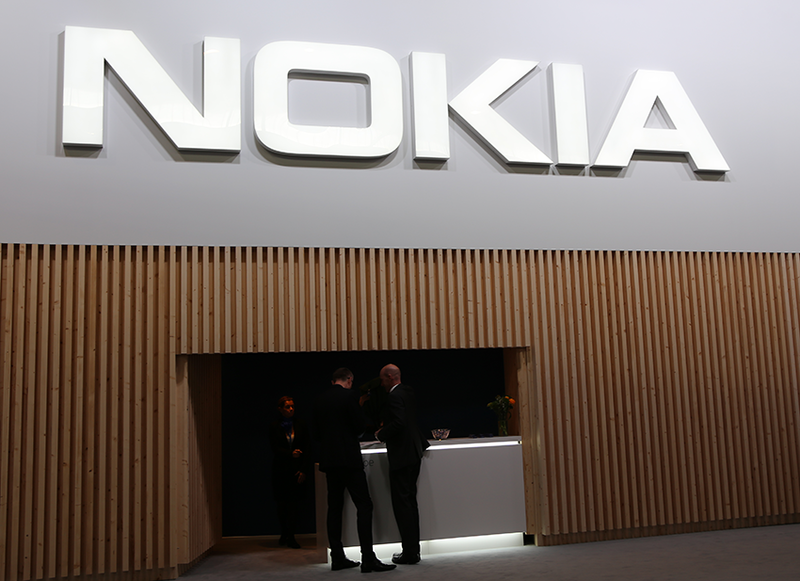 Building upon Nokia's deep digital network and services expertise, Autonomous Customer Care software features interactive care bots with natural language processing (NLP) capabilities and Nokia Bell Labs machine learning algorithms. The software can predict and help resolve issues so that corrective actions can be implemented before they affect customers. In addition, Autonomous Customer Care can interface with consumer intelligent assistants such as Apple Siri, Amazon Alexa, Microsoft Cortana and Facebook Messenger, allowing subscribers to use natural language and the channel of their choice to troubleshoot and request services. 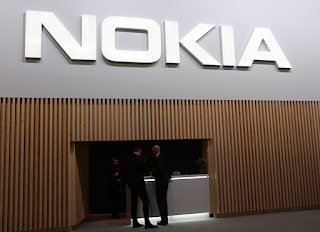 It was noted that Nokia Bell Labs has evaluated the performance of Autonomous Customer Care with a Tier-1 service provider and found that the machine learning capabilities could predict and resolve up to 70% of residential issues. It also demonstrated that the software could handle up to 80% of care issues without customer support agent intervention when subscribers use interactive bots. Part of Nokia's customer experience management (CEM) portfolio, Cognitive Analytics for Crowd Insight is a new software application that leverages Nokia Bell Labs' machine learning algorithms to track and analyse the aggregate movement of subscribers using real-time network data rather than GPS or application data. This allows more frequent updates and larger sample sizes to deliver precise, timely change information, with the ability to leverage Nokia analytics installed base with more than 200 customers. Nokia Analytics Office Services suite, which is currently available, is designed to address the growing demand for analytics experts, including data scientists. The suite is designed to help service providers understand how to use analytics to improve the customer experience, monetise services, run services operations centres and automate their networks. 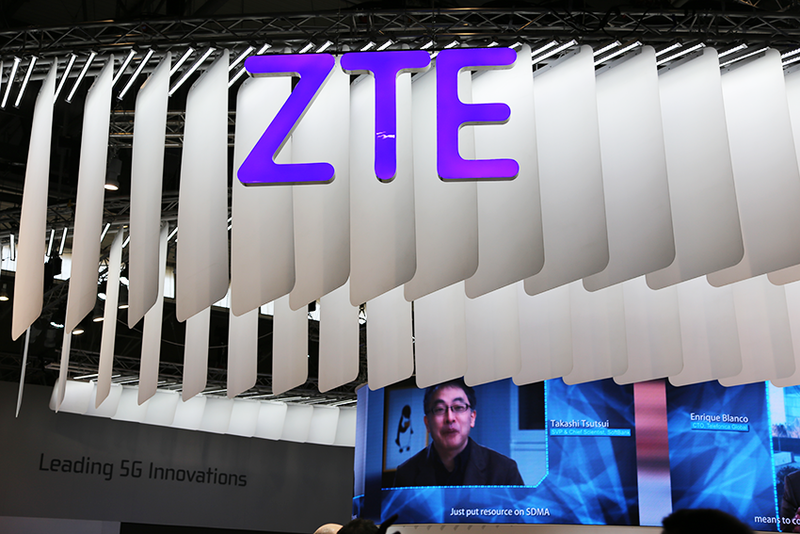 ZTE announced it has signed an agreement with Pakistan Television (PTV) covering digital television services during the Belt and Road Forum for International Cooperation in Beijing, China. Under the agreement, PTV will leverage ZTE's technology to enable the delivery of digital TV broadcasts to viewers in Pakistan based on the DTMB (digital terrestrial multimedia broadcast) standard. ZTE noted that Pakistan announced the adoption of the DTMB standard for digital television broadcasts in 2015 during an event attended by president Xi Jinping of China and prime minister Nawaz Sharif of Pakistan. Pakistan, with a population of nearly 200 million, selected the DTMB technology that was developed by China, following the evaluation of technologies including the European DVB-T and the Japanese ISDB-T standards. The new agreement between ZTE and PTV encompasses collaboration on R&D of digital terrestrial television technologies, staff training and content. The adoption of the DTMB standard in Pakistan is expected to promote partnerships with Chinese companies in areas including television sets and set top boxes. 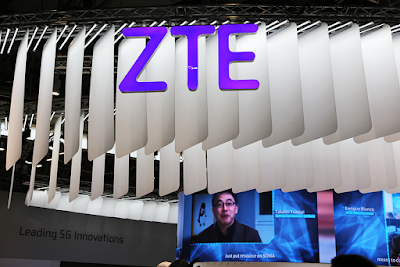 ZTE noted that in April of this year it was awarded a tender by China's Ministry of Commerce for a project to deliver digital television services in Pakistan. In 2016, ZTE announced a strategic collaboration with Pakistan's largest ICT services provider, Pakistan Telecommunication Company (PTCL), to establish a joint innovation centre for big video (IPTV and OTT) in Pakistan. The joint innovation centre (JIC) was to focus on developing new technologies, seeking partners and creating and operating new value-added services. The JIC was expected to support innovation for PTCL's SmartTV service.